Looking back to my first big game hunt, I can still recall specific moments from the day: spotting the forkhorn mule deer buck bedded at the edge of a stand of pines, nervously getting into position for the shot and settling in behind the scope, and my dad’s advice of ‘stay calm, take your time’, which did nothing for a shaking, anxious 12-year old boy getting ready to pull the trigger on his first big game animal. That hunt kick-started a true passion for me in the outdoors, whether with a gun, bow, flyrod or camera in hand, one that is stronger today than it was three decades ago. That hunt, and many others over the years have a common thread: without public land, nearly all of them would not have been possible. And that unbelievable gift in the way of public lands goes well beyond hunting. I learned to ice climb in Hyalite Canyon in the 1990’s, all on public land. Backcountry skiing in the Spanish Peaks? Public land. Shooting my first elk, bear, antelope, and turkey? 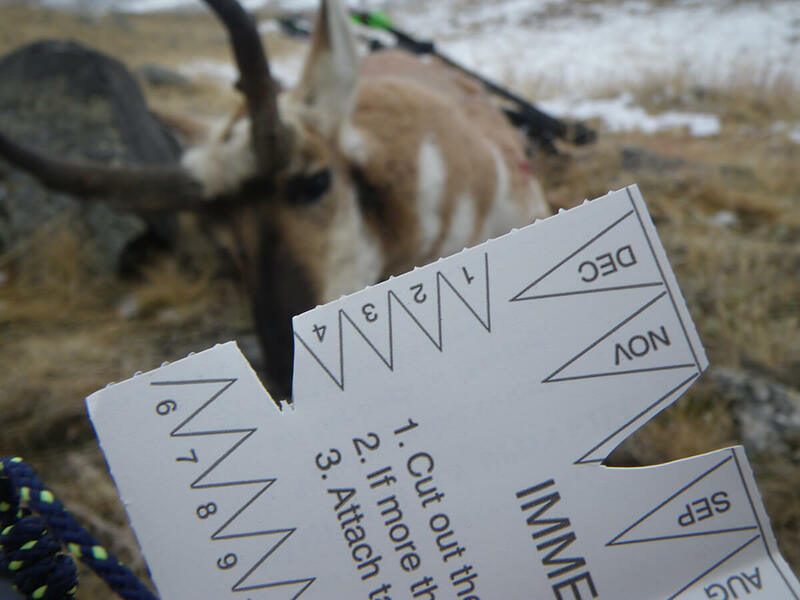 Joining one of my best friends on his Montana mountain goat hunt? 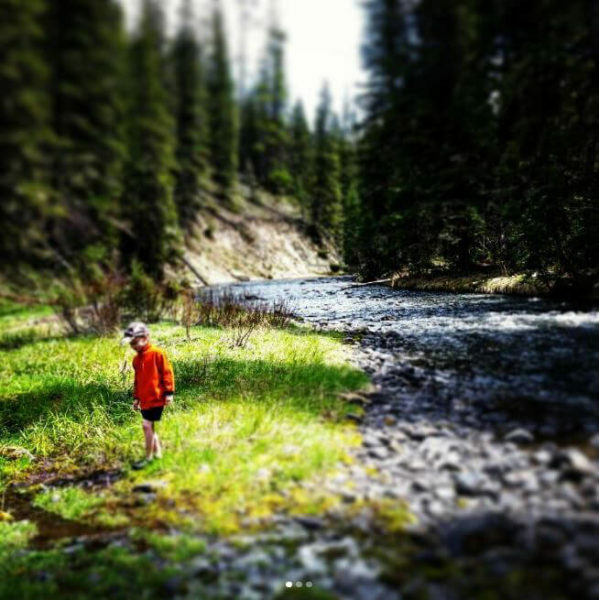 How about showing my 5-year-old son how to fish in a small mountain stream? The answer is the same. PUBLIC LANDS. My story is not unique. Countless outdoorsmen and women rely on access to the 640 million acres we proudly call “our own” every year to pursue their chosen passions and pastimes. Take a moment and think about the last time you headed into the wilderness. Now, think about what it would be like if that became off-limits because it was sold off to the highest bidder. That is the risk we face if we consent to the transfer of control of your public lands from federal to state governments. Let that number sink in. That is what outdoor enthusiasts in the United States spend each year on their chosen pursuits, as per the latest Outdoor Industry Report. Hikers, bikers, climbers, boaters, skiers, hunters, and anglers and other outdoor participants throw down seriously cold hard cash to partake in their chosen passions, and along the way, contribute mightily to the economy in the form of job creation, retail spending and increased state and local tax revenue. We are currently facing the very real risk of our public lands being seized, transferred to state ownership, with the worst-case scenario of being sold to the highest bidder for private financial benefit. Selling off these lands would equate to basically a ‘one and done’ move generating shortsighted profit fueled by state budget gaps. And in the process, ignore the numerous contributions federally owned lands provide, as well as multi-use benefits and cut off access to those once public lands indefinitely. Lastly, the glaring issue will always remain: state budgets would not be able to adequately fund large expenditures such as wildland firefighting or trail system upkeep and expansions to name two of many, and those budget challenges would force the states’ hand, requiring the land to be managed for maximum revenues. When that state funding runs out, the next step is to sell off to cover the deficit. Remember: “transfer” ultimately means “sale” down the road. WHERE WOULD YOU HUNT/FISH/SKI/CLIMB/HIKE/CAMP/RIDE WITHOUT PUBLIC LANDS? For the vast majority of outdoorsmen and women, much of that spending and its associated benefits are in danger without access to the vast sections of public land, which totals some 640 million acres; roughly 2 acres for every citizen in the USA. All of this drives home the point and to quote the good folks at BHA – that “public lands stay in public hands.” If the land is transferred, the risk of sell-off becomes real. When the burden financially at the state level reaches a tipping point, that sale becomes a reality. Access to your favorite trail, campsite or river goes away, as does the substantial monetary contributions on a state and national level. This is a question many of us at MYSTERY RANCH hear or ask ourselves when tackling the threat of the sale or transfer of public lands. Get Involved. Join organizations that are tackling this issue (among others) such as Backcountry Hunters and Anglers, TRCP and Sportsmen’s Access. There is power in numbers. Get Informed. Spend as much time familiarizing yourself with the bills and politicians that support or threaten our public land access. Arm yourself with knowledge and facts. There are a lot of so-called experts out there trying to sway the public into thinking selling off our lands is a good idea. They are wrong. Get Outside and Enjoy Your Public Land. This is one of the most important and enjoyable things you can do to help. Better yet, bring someone with you who may not be aware of the risks public lands are facing. Show them the breathtaking views from a summit. Help them land a trout from a high mountain lake or stream. Share in the accomplishment of taking a big game animal miles deep in the backcountry. And remind them that all of it could go away. For them, for you, our children and grandchildren. The risk is far too great. We have to, and will, protect these public lands like the treasures they are.